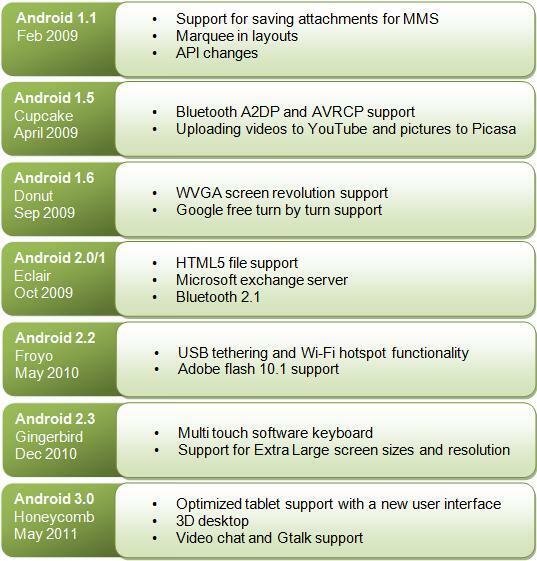 Android is the most popular mobile operating system in the world used by large number of smartphones, tablets and many more handheld devices.It is based on Linux Kernel. Android is open-source and is released by Google under Apache License.The android open source code and provided licensing allows android software to be modified freely and distributed by mobile device manufacturers, wireless carriers and enthusiastic developers. As Google maintains and develops Android, it is shipped with a number of Google services installed right out of the box. Google Web search, Gmail, Google Maps, and Google Calendar are all pre-installed, and default web page for the Web browser is google. But as Android been open source, carriers can modify this according to their convenience. Android is shipped with Google Play store which is an online software repository to obtain android apps. Using Play store Android users can select, and download applications developed by third party developers and use them. Till April 2013, there are around 8.5 lacs+ application, games and widgets available on the play store for users. Finally we can conclude that, Android is an incredible platform for consumers and developers. It is in principles contrary to the iPhone in many ways. As the iPhone aims to create the best user experience by restricting hardware and software standards, Android aims in insuring to open up as much of the platform as possible. (Message Passing Interface) is an open standardized message passing library specification to carry out portable message passing on a wide variety of parallel computers and is designed by a wide group of researchers from academia and industry. The first MPI standard draft was prepared in 1992 and after some community reviews MPI 1.0 standard was released in 1994 since then a lot of improvements have been done in the MPI standard, the latest MPI standard is MPI 3.0 released in September 2012. What MPI is not ? MPI is not a programming language nor any compiler specification. Also MPI is not any specific implementation or any software product. MPI is just a message library specification which any MPI implementer can use to develop a message passing library or one can say message passing implementation. Various message passing implementations currently exists both in open source as well as commercial vendor provided implementations. Some popular open source MPI implementations are MPICH, OpenMPI, MVAPICH, MPICH is been maintained by Argonne National Laboratory, OpenMPI is been developed and maintained by the open source community whereas MVAPICH is been developed and maintained by Ohio State University and it is a highly optimized implementation for Infiniband, 10Gigabit Ethernet/iWARP and RoCE kind of networks. All the mentioned open source implementations are available for C, C++ and Fortran. Also, the vendor specific implementations are Intel MPI, HP MPI, SGI MPI etc. Only whatever happens between MPI_Init() and MPI_Finalize() is been defined by MPI standard.The program below is much better MPI program providing idea about which processes are actually in action by giving its rank through MPI_Comm_rank() and how many MPI processes are there overall through MPI_Comm_size(). In order to run a MPI program, like ones written above, one need to install any of the previously mentioned MPI implementation and can compile it as follows in any linux machine "mpicc 'your_source_code.c' " and can then run through "mpiexec -np 'no_of_processes_required' 'path_to_your_executable' " command. Suppose by compiled MPI executable is 'a.out' and in my working directory and I want to launch 4 processes then my launching command would be. CUDA (Compute Unified Device Architecture) is a parallel computing platform and first programming model that enabled high level programming for GPUs (Graphics Processing Units) and thereby made them available for general purpose computing. Previously, if one had to use GPUs for doing general purpose computation then they had to use the Graphics API provided by OpenGL, DirectX and other related graphics APIs and map there computation onto them. All these issues was overcome by CUDA and so now GPUs are also been called GPGPUs that is General Purpose computing on Graphics Processing Units. So writing code in CUDA programmers can speed up their algorithms to a massive extent due to amount of parallelism offered by GPUs. One can start programming in CUDA using extensions provided for C, C++ and Fortran. 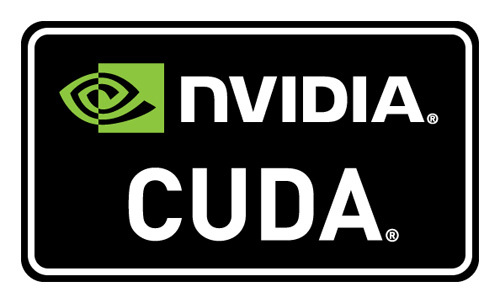 So, NVIDIA’s basic CUDA setup consists of 3 parts: The NVIDIA graphics card drivers, the CUDA SDK, and the CUDA Toolkit. The drivers are available for most Linux distributions as well as for Windows. For development environment consisting of compiler, tools for debugging and performance optimization one need to download the CUDA Toolkit. For other basic requisite stuff such as sample examples, different basic image processing, primitives for linear algebra operations related libraries based on CUDA one can get it from CUDA SDK(Software Development Kit). CUDA platform allows creation of very large number of concurrently executed threads at very low system resource cost. The figure above shows the architecture of a CUDA capable GPU. It consists of multiple numbers of Stream Multiprocessors(SMs) which contains several Streaming Processors (SPs) ( CUDA cores ) in them, both the number of SMs and CUDA cores depends upon the type, generation of the GPU device. 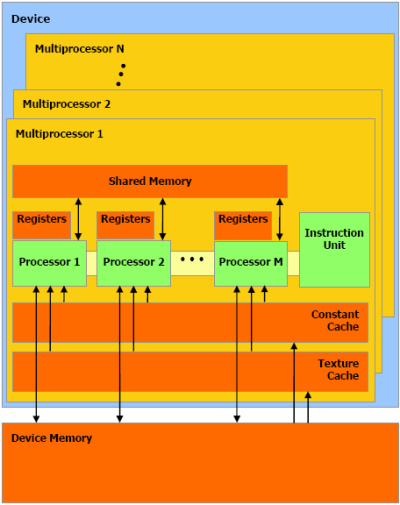 The memory hierarchy from low speed to high speed is in this order Global memory(Device memory), Texture memory, Constant memory, Shared memory, Registers. So, the fastest is access from registers and slowest is global memory. Hence, CUDA programmer need to write their code considering this hierarchy in order to gain maximum performance benefit. 1.) Initially the OpenCL kernel is written in const char *KernelSource. 2.) At the start of main we define all the requisite OpenCL related and other normal variables. 3.) Next in this opencl example, we set OpenCL required environment for running the kernel using functions like clGetDeviceIDs(), clCreateContext(), clCreateCommandQueue(). 4.) Then on we create program with source mentioned in char *KernelSource using the function clCreateProgramWithSource() followed by building it with clBuildProgram() and creating our kernel object using clCreateKernel(). 5.) Then we allocate memory for input and output using on the selected OpenCL device using the function clCreateBuffer(). 6.) Hence we write our input data into the allocated memory using function clEnqueueWriteBuffer() and set the arguments for the compute kernel with clSetKernelArg() as shown in the OpenCL example below. 7.) We get the maximum work group size for executing the kernel on the device through clGetKernelWorkGroupInfo() followed by executing the kernel over the entire range of our 1d input data set using the maximum number of work group items for this device through clEnqueueNDRangeKernel(). 8.) Finally we wait for the commands to get serviced before reading back the results using clFinish() and thereby print the results after reading the output buffer from the opencl device using clEnqueueReadBuffer(). //Contexts are responsible for managing objects such as command-queues, memory, program and kernel objects and for executing kernels on one or more devices specified in the context.